Celebrity Extra: Without giving too much away, what can you tell me about your episode of “Castle”? 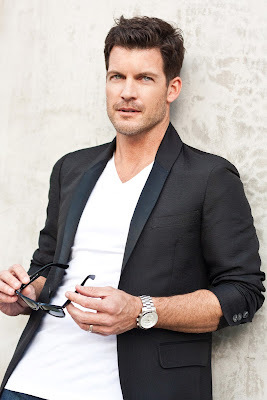 Mark Deklin: You’re absolutely going to hate me, because there’s so very little I can tell you. I feel like almost anything I tell you has the potential to be a spoiler, which tells you that it’s an interesting episode and an interesting character, but I’m afraid of tipping my hand. CE: I know exactly what you mean, because “Castle” always has you wondering throughout the entire episode, sending you down some wrong paths, before they finally solve the case. MD: One of the things I like about “Castle” — one of the things I think that makes it smart — is that they don’t throw in a red herring. I’ve been on crime shows before, and I always play the guy where it’s like: “Oh, he’s the jerk. I bet he’s the murderer.” Everybody always sees through that, because it’s so formulaic. The thing I like about “Castle” is that it’s not like that. The twists and turns could take you anywhere. The guy I play could be a good guy or a bad guy or just caught in the middle — there’s no way to know. And I can’t say a whole lot more than that. CE: You’ve gotta give me a little something. CE: How was it working with Nathan Fillion? MD: He’s a funny guy. He’s such a classic Canadian boy. And I mean that in all the best ways. You know, just so nice and personable and welcoming and down to earth — just a cool guy. CE: How was the rest of the cast and crew to work with? Does the set have a nice working atmosphere? From the minute I walked on set, I felt welcomed. It’s very professional and well run. It all starts with Nathan and Stana (Katic, who plays Det. Kate Beckett), who are both just really chill and cool and laid-back. I had a lot of fun working with them. I worked with Jon (Huertas, Det. Esposito) and Seamus (Dever, Det. Ryan) as well — I actually knew them beforehand — and they were great. You can tell it’s just a group of people who made a conscious decision to create a nontoxic work environment. It’s really nice when that happens. That was one of the things I really miss about “GCB,” because it was one of those environments. We all loved each other, and I loved going to work every day. And you don’t always have that working in television, so when you find it, you really remember those sets the most. CE: I know it’s what sets up the whole story of “Tarzan,” but I am bummed that your character has to die in the beginning. MD: It’s funny that that’s technically a spoiler, which cracks me up, because now everybody goes into the movie knowing that I die. But that’s the story — if the kid isn’t orphaned, then he can’t grow up to be Tarzan. So by definition, to make him an orphan, Mom and Dad have to get offed. CE: What can you tell me about John Greystoke and his wife? What do we get to learn about them before you get offed? CE: Was this a fun movie to shoot? MD: Yeah, it was really fun. It was cool. It was all CGI work, and I’ve done a lot of that for video games. It was amazing to see how technology has progressed just within the last year or so. My favorite part was watching Peter Elliot, who is based in London. He’s a stunt man, choreographer and also he’s an ape researcher. He worked on “Gorillas in the Mist.” He’s a fascinating guy. It was his job to turn these actors and stunt men into gorillas; how to move and breathe and occupy this gorilla space, and it was pretty amazing. If you watch the making-of trailer, it is pretty fantastic how these guys embodied these great apes, and to hear him talk about these apes with such passion. He was just fascinating to work with. And Reinhard Klooss — who directed it, from Constantine Films — was a really interesting cat too. It was cool. We shot in Munich — I had lived in Vienna for a little while, and one of my best friends lived in Munich at the same time, so I used to spend a lot of time in Munich. It’s a great city. I hadn’t been back in years, so it was really fun to be back there shooting and to brush up on my German, which is very rusty. CE: Do you have a release date for “Tarzan” yet? MD: I know it’s definitely 2013 in Europe. And I know that they want to get a 2013 U.S. release as well, but I don’t know.